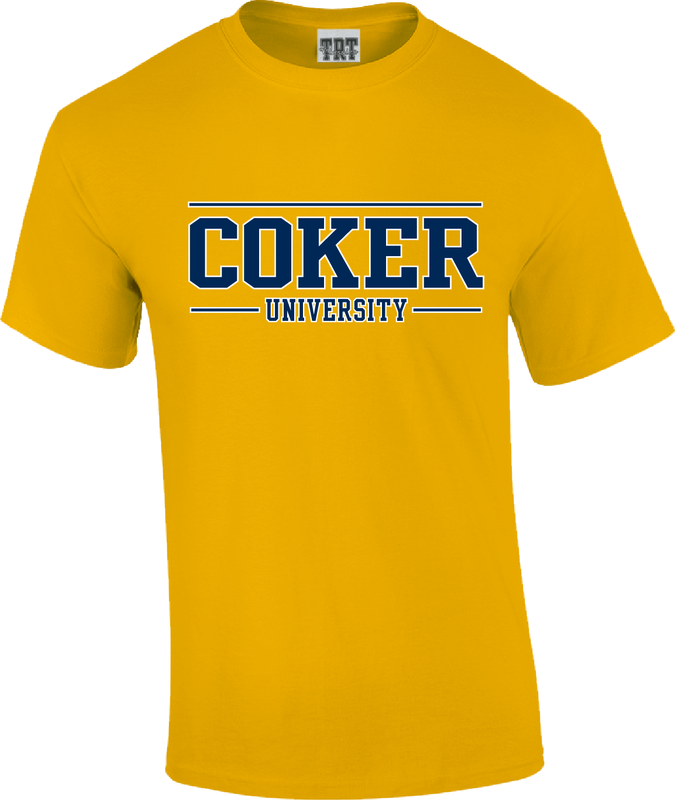 COKER UNIVERSITY SHORT SLEEVE TEE GOLD Pre-Order by June 1, 2019, and receive 40% off. Shirts available for pick up on July 1, 2019. Orders that need to be shipped will ship out June 28, 2019. Please select option for Coker University T Shirt Pre-Order.